This article was originally published on VeraVise Outdoor Living in March 2017 and has been updated for Disfanchat. In this article, I explain how this once Disney World skeptic became not only a happy customer, but a Disney influencer and raving fan! So much so that I now spend a great deal of my time writing and sharing how great Disney is with other moms, fans, and influencers. When I first wrote this article in March of 2017, I had just completed my Year of Disney with an Annual Pass and launched this travel blog. Since I first completed this article, the Disney side of VeraVise Outdoor Living grew into a growing community on Twitter through our weekly #DisFanChat on Tuesday nights. We have a Facebook planning group as well surrounding the chat, a Facebook page, and now we have launched Disfanchat in order to have a dedicated home for my full blown Disney obsession. We’ve all been to theme parks before. They all have the same basic makeup, right? Thrill rides. Kiddie rides. Theme park food. Mildly entertaining programs (for when it rains or it’s too hot or you just need to kill time).What is it about Walt Disney World that has led to entire websites and podcasts and really an entire industry based solely upon the happenings at this Orlando attraction. As I mentioned, I was a Disney resistor. I had some personal reasons, but honestly, my ignorance of what Walt Disney World had to offer to families of all shapes and sizes kept me away. After finally deciding to take my husband up on the offer to visit with our three kids, what was it that turned this one time Disney skeptic into an all out completely obsessed Disney fanatic? In reflecting on that question, I came up with these top five reasons this #neverWDWer became an Annual Pass holding, podcast listening, all things WDW following mom. Here are the top 5 reasons this once disney skeptic is now a raving disney fanatic! 2 #4 Disney skeptic turned fanatic: Community. I know it will sound loony to all the non type A personalities out there, but I love to plan things. When I worked as a pharmacy manager, my favorite aspect of the job was planning the schedule for my staff. I loved meeting the challenge of filling the needs of the business while trying to offer everyone the best possible schedule. If you are like me and take as much pleasure in planning the experience as actually experiencing it, WDW offers that and much more. Whether it’s scoping for FP+, researching the best Disney character meals for my family, or picking the absolute best hotel experience, the sky is the limit at WDW. Every detail can be planned. Now, of course, I’m realistic. You can’t plan everything or no one will have any fun, but if you are an organizer or you just love laying it all out before you go, WDW certainly fits the bill. #4 Disney skeptic turned fanatic: Community. or what the crowd level might be at any given moment in time. It was fun to share the journey with others. Now, we are getting to the real motivations for my turn around views on Walt Disney World. The multigenerational appeal. On our first visit to WDW our party included my husband, his parents, our three children ages 7 years, 4 years, and 20 months, and myself. Despite being an über planner, our first trip was taken within about three weeks of deciding to visit so many things were not planned, and some rides were difficult to access. Nevertheless, I was blown away. 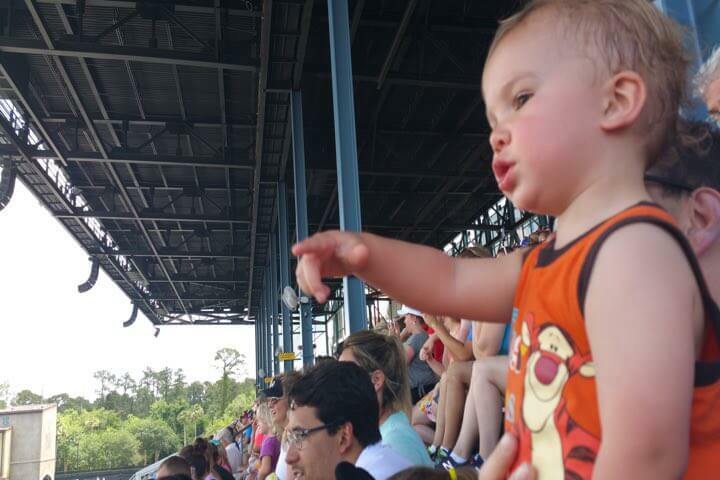 I fully expected that someone would have to spend a lot of time waiting with the toddler throughout most of the day as is often the case at many theme parks, but not at Walt Disney World. There were very few rides that the entire family couldn’t enjoy and these rides weren’t just watered down carnival attractions. In Awe At Hollywood Studios Lights, Camera, Action Stunt Show Too Bad They Took It Out! I just remember the great fun and joy I had as a mother seeing my children’s faces as we rode along and even my twenty month old smiling and laughing. What great memories that I will always cherish. This reason is closely tied to reason #3 as I already mentioned how impressed I was with rides like Peter Pan, The Many Adventures of Winnie the Pooh, and Splash Mountain. 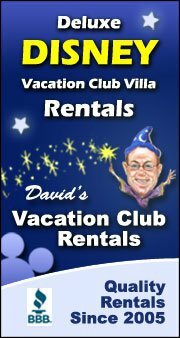 Our first trip was an off site trip in that we rented a home rather than staying on WDW property. And while, I will have more to say about the great fun it is to stay on WDW property and will likely elaborate on my favorite hotels and WDW property areas, nevertheless, even being off site didn’t leave us feeling like we hadn’t been part of something so very special. My husband still laughs at me because the moment Peter Pan’s car took flight, I said, “How are we flying?” before I looked overhead. Perhaps it isn’t that Disney offers something for every age as much as Disney makes us all the same age again. is not the same as going the extra mile. Walt Disney World goes the extra mile for my kids. They don’t just have to eat some bland tasting alternative. No! Sometimes, in fact, they get something better than mom and dad. The meal that won me over and keeps me coming back was experienced in Animal Kingdom’s Tusker House. After having some of the best food I’ve ever eaten and enjoying my children’s excited adventures dancing around with Mickey, Goofy, and Donald and Daisy Duck, we enjoyed some of the best desserts I have eaten at WDW, but I worried my kids would not really enjoy their desserts. I was very surprised when our waiter brought them out their very own plates of desserts! That’s right. DESSERTS plural! They didn’t just get one dessert, like the rest of the non allergy family, they got a plate full of delicious treats. For this investment, Disney was rewarded with a new loyal family and another adoring fan who tells all her friends about this great theme park experience. CAN DISNEYLAND BE FUN FOR A WDW VETERAN? YOU WILL NEVER BE “BORED” ON DISNEY’S BOARDWALK! Love hearing about what made people discover their love for Disney!